Just because you’re a primary family caregiver now, that doesn’t mean you will keep that position. You might step back into more of a secondary role or you might need to step away from caregiving altogether. Consider a Break as an Option. It’s entirely possible that you really do need to step back from caregiving. But if you haven’t allowed yourself to take breaks, you could need one. Sometimes taking a few days away can give you the change in perspective that you need to really determine if you need to step away for good. Assess Why You Want to Step Away. You might want to take some time to really get clear about why you want to step away. Your mental or physical health could be suffering, for instance. Or possibly you’re just not able to balance caregiving with your job any longer. Knowing your reasons for leaving allows you to be able to articulate it. Examine Your Feelings Around the Idea. It’s not an easy decision to become a caregiver and it’s definitely not an easy decision to stop being a caregiver. You’re likely to feel guilty as well as a host of other emotions. You can’t just sweep those aside. You need to understand them so that you can deal with them. Figure out Who Your Backup Is. If you’re stepping aside, someone else likely needs to take your place. It helps if you have other family members who are already willing to step into place. Even if there aren’t people willing to take over, that doesn’t mean you can’t do what you need to do. Hiring elder care providers can be the solution that you need. Regardless of whether other family members can take over for you or not, you need to set up a time to talk to anyone who is involved. Let them know what you need to discuss so that they don’t feel blindsided. They may have questions or concerns about what happens next. Be as open and as honest as you can be once it’s time to have the conversation. You don’t have to give details you’re not comfortable sharing, but definitely let your other family members know what’s behind your decision. If you haven’t found a solution yet, they might be able to help you figure out what happens now. 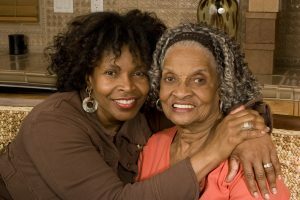 There’s no guarantee that you will be able to remain a caregiver for as long as your senior needs you to be one. You may want to be a caregiver until the very end, but so much can change in your life that has an impact on that decision. If you or an aging loved-one are considering professional caregiver services in Rockville, MD, please call the caring staff at Global Hands Inc. Call today 240-264-0769. This entry was posted in Caregiver in Rockville MD, Caregiver Stress and tagged Caregiver in Rockville MD. Bookmark the permalink.